The best way to get people and search engines (which means more people) to your website is by getting relevant inbound links. If you have some great new gimmick on your website this may be easy as everyone will be linking to you. However, with a basic, solid web page the process may be much more difficult and slower. How do you get people to link to you? 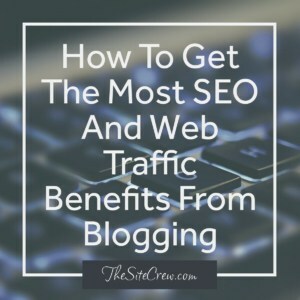 Blogs can be great way to get visitors and develop a long term return. Blog posts tend to stick around for a long time. The trick here is to get people to blog about your website without forking over a bundle of your hard earned cash. A great idea is to become a guest blogger. This would be where you write blog posts for other people’s blogs and include your link! The key to being a great guest blogger is to write short (3 to 6 or so paragraph) posts that are interesting, informative, humorous and relevant to the topic of the blog (and your website). Of course they should have a link to your website. Don’t over do the linking. Don’t make it sound like an advertisement or something you just cut and pasted from your website. Contact us if you need help finding guest bloggers for your blog or if you want to write blog posts and become a guest blogger for others.